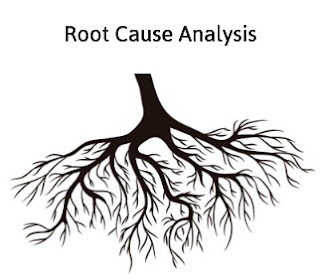 Root cause analysis is used in almost all industries to find out the cause of the problems. It helps to improve the quality of product if it is used properly by the management because it gives the way to implement the corrective and preventive action. Root Cause Analysis is the most important factor in determining the quality of each organization including the pharmaceutical industry, it is a methodology of knowing the first action that leads to the sequence which in turn leads to the problem and finds a way to solve this problem. The company auditors must observe the deviation and its relation with the past events or intervention, they have to understand how could this intervention cause the deviation. So, Root Cause Analysis is used to know the reason for each deviation or bad results. What are the Types of Root Cause Analysis Techniques? 1. Group Thinking (also known as Brain Storming): A group of experts meets together to find the exact cause of the deviation and find a solution for it. 2. Fishbone Diagram (also known as cause and effect diagram): Fishbone diagram includes the potential cause of the problem and is used in order to find the real cause. 3. 5 Whys: 5 whys tool works as its name, you should ask yourself "why?" 5 times in order to get to the sequence that causes the problem. These 3 techniques will get you near the real cause, and it will help you to know what are the changes that you have to do, where are your weak points, and also how to prevent the occurrence of this problem again. Root Cause Analysis consume a lot of time and resources, so it is only indicated when you are very sure that an event has affected the organization badly and needs an action to be done. Example 1: A drug has been doing badly in the last few weeks, the Root Cause Analysis revealed that the cause is related to non-optimum storage temperature which happened due to starting of the summer. The solution will be using refrigerators to store this drug even while shipping it. Example 2: A worker has chosen the wrong tool to join the pipes together, the Root Cause Analysis revealed that the cause is the human error, but the problem actually originates from having bad lighting to read the labels. This means that learning this worker won't solve the problem, the labels have to be clear and the lighting should be enough to make him able to read them. 1. A lot of Root Causes closed as just a human error. 2. Incorrect or inappropriate use of the techniques. 3. Corrective Action and Preventive Action (CAPA) isn't pointing to the real cause. 4. When people interact with the industry, the human error is a possibility, but if the companies did the necessary measurements and used the right techniques to detect and prevent the human error, the human error would be nearly 5% only, this will solve a lot of current and coming issues. The reason why there are some issues with root cause analysis isn't the procedure or the technique, it is mostly how the root cause analysis is being done. To prevent this issue, just follow the corrective action and preventive action and it will guarantee committed and satisfy inspectors. Gud morning ..I need details of pharmacovigilence &scope also..
pg blogger is the most supportive webpage i have ever faced for policy makers, god job you all founders of this blogger.